P.A.L.S. 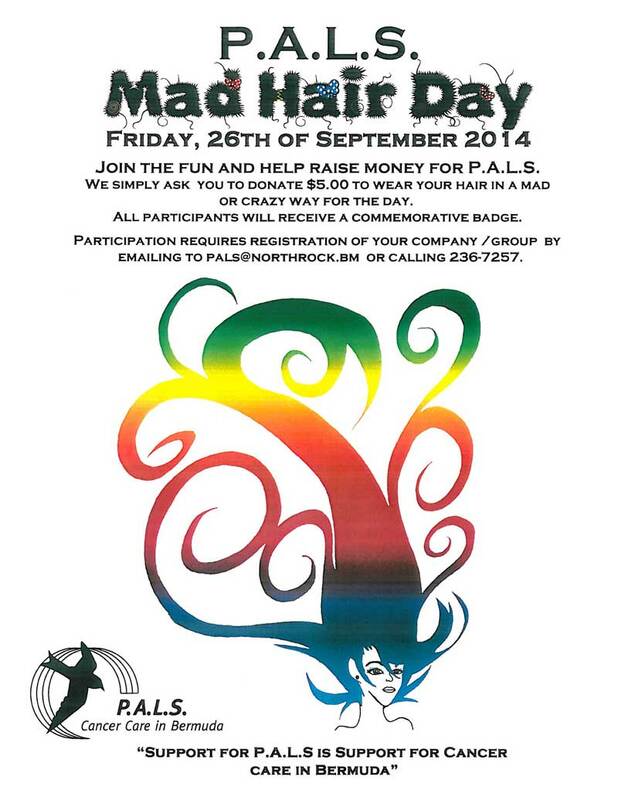 will be holding its third Annual Mad Hair Day fundraising event on Friday, 26th September 2014. A spokesperson said, “Schools, businesses, clubs, organisations and friends are invited to join the fun by donating $5.00 to wear their hair in a Mad or Crazy way for the day. “Each participant donating $5.00 will receive a commemorative badge. Some of the suggestions are to wear wigs, funny hats, or scarves, big ties and funky glasses, crazy hair creations and designs or big ribbons and head bands; in fact anything that would be considered wacky or wild. Those of you not wishing to join the Mad Hair Day may still receive a commemorative badge by donating $ 5.00. “It is all in good fun to support P.A.L.S. whose annual expenses now exceed $1.2 million.